If you are a prospective student of the BYU Animation Program, congratulations! You are looking into one of the best and nationally recognized programs for hands-on, real-life experience that will prepare you for the animation industry. It is a closed-enrollment program with smaller class sizes involving lots of teamwork and collaboration, allowing for greater interaction between teachers and other students as an integral part of the curriculum. While this is the best way we have found to organize the program for maximum student success, this means that it can make acceptance into the program more competitive and challenging. However, if you show great initiative, work hard to improve, frequently seek feedback, and are helpful to others around you, you will receive great consideration and have a good chance of success. We cannot guarantee that you will be accepted into the program, but we can guarantee that your portfolio will be carefully and prayerfully considered. As always, you may approach any member of the faculty to ask for a portfolio review prior to or after the application process to know how to make yourself better stand out as an applicant. First, a few important things to know: Acceptance to the animation program must first be preceded by acceptance to Brigham Young University (Provo, UT). A link to the BYU Admissions Services page may be found here. You do not need to be a member of the Church of Jesus Christ of Latter-Day Saints to be accepted into BYU or into the BYU Animation Program. However, if you are non-LDS, you will still be required to live the BYU Honor Code and complete the University General Education requirements which include various math, English, history, and religion courses. The Course Map, which outlines requirements for both the Animation Program and University, can be found here. Many non-LDS students have been a part of the Animation Program in the past and have made great contributions to the program and to the industry. 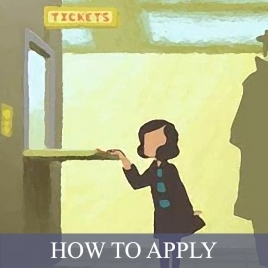 Once you are accepted into Brigham Young University, you must follow the steps under How To Apply in order to be accepted into the Animation Program. If you have any questions about how to go about this process, you may contact Stephanie Miller, the Department Secretary, at (801) 422-3777 or cfacadvise@byu.edu. You may also stop by room D-444 of the HFAC (Harris Fine Arts Center) if you prefer to ask questions in person. 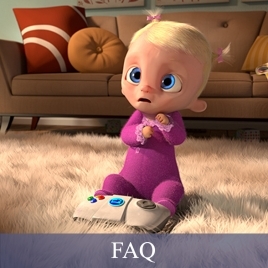 There are two ways to apply to the Animation Program: you may apply as a Pre-Animation major, applying to be a full part of the animation curriculum and graduating with a BFA (Bachelors of Fine Arts) in Animation, or you may apply as a Computer Science major with an emphasis in Animation. The CS track and BFA tracks have different requirements for program acceptance and completion. (For additional information on the Computer Science Animation Emphasis, click here.) 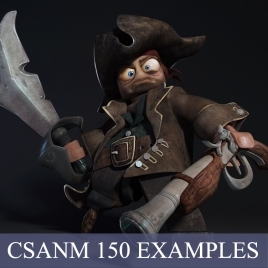 Both animation and computer science applicants are expected to have strong skills in drawing and in computer graphics, although each applicant’s personal strengths and circumstances will be taken into consideration. If you would like to know more about application requirements, see the How to Apply page. We are looking for solid drawing and animating skills. Although many students want to focus on computer animation, we believe that all types of animation have their foundation in solid drawing and traditional animation. For the figure drawings, the type of drawings we are looking for show proper use of shapes, proportions, and line control. However, we are not as concerned about tightly rendered drawings (highly shaded) as we are looking for a student who knows how to use and control line to express gesture. 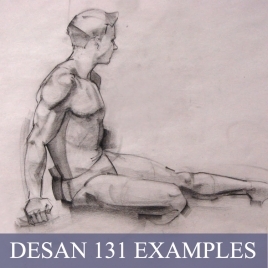 Classic Illustration teachers such as Andrew Loomis or Bridgeman are good sources of study. As for sketchbooks, we love to see students who are studying and drawing from life. Students can benefit greatly from carrying a sketchbook with them, constantly practicing drawing as much and as often as they can. Drawing at the mall, in the library, at the zoo, or in any location that allows you to observe life is a great way to develop your skills. Emulation studies of professional industry character designers and comic artists is also a great way to expand your drawing abilities. We recommend looking at the work of people such as Cory Loftis, Borja Montoro, Maxime Mary, Pierre Alary, Nico Marlet, Claire Wendling, Shiyoon Kim, or any other professional industry artist. For the animation sample, we are looking for a piece that shows a firm understanding and implementation of the 12 basic principles of animation. If you can familiarize yourself with the 12 principles of animation and learn to implement them in your animations, you will stand out. 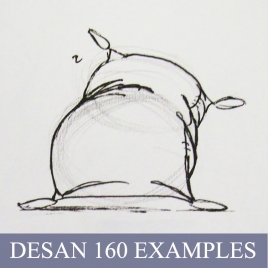 This can be developed in our Intro to 2D Animation (DESAN 160) class. Click here to see portfolio samples! After you are accepted into the Animation Program, you will be expected to complete foundational courses in both the 2D and 3D sides of animation. Once you have completed those courses, you will have the freedom to choose classes that focus more on what you would like to pursue, whether that be 2D animation or 3D Special FX or anything in between. You do not need to know right now what you would like to specialize in as most students usually change their minds a few times and find their niche during their Junior or Senior year. However, if you already have a basic idea of what you’d like to do, or are simply curious about how to prepare for either of them, there are several things we can recommend. For developing skills on the 3D side, some programs you might consider familiarizing yourself are Autodesk Maya, Adobe Photoshop, and perhaps Autodesk Mudbox (which is similar to but easier than the industry standard, Pixologic Zbrush). All Autodesk programs may be downloaded for free as a student license on the Autodesk website. Photoshop, along with all other Adobe Products, may be purchased at a monthly discounted student rate via Adobe Creative Cloud. However, out of all the programs one can learn before entering the program, Photoshop and Maya will get you the furthest, and we recommend you stick to those at first. There are plenty of tutorials, forums, and videos available on the internet for pretty much anything you would want to do in either Photoshop or Maya, and physically being in the animation lab to ask other students for help will be extremely useful for you. If you are interested, Pluralsight is a tutorial database that has great, in-depth tutorial videos on nearly every topic you would need. Upon entrance to the program, you will receive a Pluralsight account for free provided by the BYU Center For Animation. For developing skills on the 2D side, we strongly recommend that you practice drawing as much as you can. Gesture drawing, as well as the ability to draw in multiple styles, will be an essential skill no matter what field of animation you choose to pursue. One of the best ways you can improve your drawing skills is by doing style emulations of professional artists in the industry. 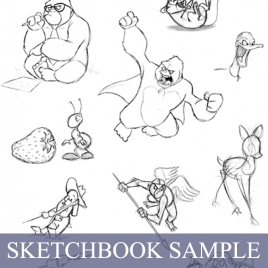 (Some recommendations include Cory Loftis, Borja Montoro, Maxime Mary, Pierre Alary, Nico Marlet, Claire Wendling, Shiyoon Kim, or any other professional industry artist.) Familiarity with Photoshop and After Effects will also help you immensely as students in the program use these frequently. Storyboard artists and animators also use Toon Boom Storyboard Pro and Toon Boom Harmony, programs which can be accessed in the HFAC animation lab. Every year, the seniors in the Animation Program create a short film and video game following the industry process. Students of all skill-levels are invited to participate in either production as it is an excellent way to get industry-like experience while still in school. Click here if you are interested in participating in this year’s senior film, or click here to find out more about this year’s game project. The BYU Animation Program is one of the best programs you can be part of in terms of student hire rates, recognition from major studios, student problem-solving skills, and preparation for the industry. While it is a smaller program in comparison to major art schools and does not have the same resources in faculty and number of classes, it is structured in a way to give you maximum freedom to mold it into what you specifically need or are interested in. Please know that this program is not designed to teach you step-by-step processes and that teacher instruction is minimal—it is just enough to get you started, and you will be expected to put in the time and work to learn the programs and create your work. While many students find this hard at first, after a couple semesters they tend to become very grateful for this structure and eventually become very valuable assets to the studios that hire them. Learning how to problem-solve for yourself, whether with design or computer problems, is one of the core fundamental aspects of this program that make our students successful. In short, you get out of the program what you put into the program. Success comes to those who work the hardest! We would also like to stress the fact that the best students are the ones that are motivated by faith and not by fear. Our goal as an Animation Program is to put more good and wholesome media into the world, and those who are motivated out of faith and love for what they do are the ones that make the greatest impact and generally do the best. Animation students can often become fear-driven and overly stressed when they lose sight of this perspective, and we hope that you keep this in mind as you become more involved in the program. If you are planning on deferring enrollment for missionary service, this will not affect your acceptance into the BYU Animation Program. Whether you apply before or after your mission is a very personal decision, and it can also depend on your mission departure/arrival dates. Because you can apply winter semester of your freshman year, you are welcome to apply before you leave. This means that you would not have to worry about putting together your application/portfolio while on your mission. Please DO NOT choose to forego serving a full-time mission because of the Animation Program. The Animation Program will still be here upon your return, and your artistic abilities will not decrease as a result of serving a mission. Because faith and striving to do good are such important values in the Animation Program, we advise you serve a mission so that you can do better in the industry. Students who have served full-time missions tend to do better in the program and in the industry, and we as faculty have frequently observed an individual’s faith as being a strong indicator for their future success. Serving a mission is still, of course, a very personal decision. Please consult with your bishop, your parents, and your Heavenly Father as you make this important decision. Click on the links below to view samples of each part of the animation application. These are all pieces from previously admitted student applications. Also included are the FAQ and How to Apply pages which we highly recommend reviewing. Best of luck!